Peak Sports and Spine on Snoqualmie Ridge is showing off their Seahawks spirit in a BIG way – with about a half of a city block of spirit to be precise. The physical therapy office occupies a large second floor space, with numerous windows looking out at the Cascade Mountains. Those windows, though, will have to sacrifice some of their mountain views for the next nine days. What’s blocking that views? 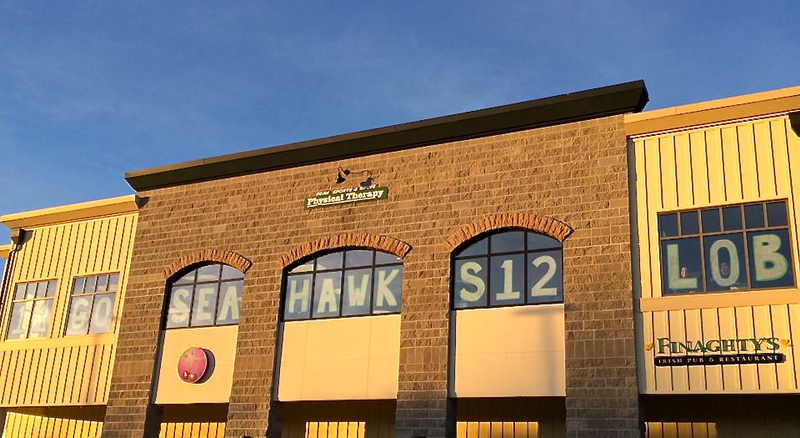 A LOT of three-foot, hand-painted letters (and, of course the #12) in support of the Super Bowl bound Seattle Seahawks. Peak Sports and Spine employees say they had fun doing the painting to show their team spirit on Thursday, January 23rd. The Seahawks leave for the New Jersey/New York area on Sunday, January 26th, for a week of Super Bowl preparation at Met Life Stadium. A large semi truck hauling all the team’s equipment made the cross-country journey (yes, through cold and snow) this week and was set to arrive yesterday. So the question remains… what will the Snoqualmie Ridge IGA do with its big windows? The physical therapy office’s spirited windows directly face the entrance to the IGA. It’s like they started a spirit competition. Stay tuned…. Got Seahawks spirit at your home or business? 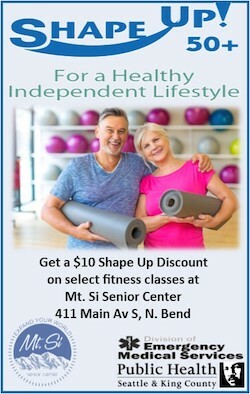 Send us your pictures to info@livingsnoqualmie.com. Go Hawks! !